When you cannot avoid a violent street attack then your response needs to be brutal and decisive. In real street self defense there is no thought of fair play and in fact quite the opposite is true. 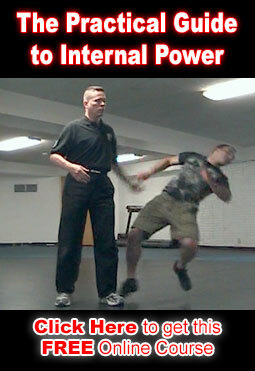 The main thought in training about this is to generally train and consider how brutally unfair and surprising I can be in order to take the aggressor out and get away before they even realize what I have done to them. Remember this is a response to a violent, sickening and illegal street attack against me. It is not a fight that I sought out or want in any way, shape or form. I have been attacked this way approximately 15 times. More often that not I have avoided my attackers. But I have purposely pushed an attacker down a flight of steps. I have pushed an attacker into oncoming traffic. I have knocked an attacker out with an overwhelming flurry of strikes. I have ran an attacker off at gunpoint and if he had continued to progress towards me and my wife I would have shot him dead. My goal was and is survival and is not any attempt on my part to be the bigger he-man. All of these situations began with my trying to avoid them.